Maybe Joe Pesci should play Trump in the biopic…. This today. And yeah it does seem to fit the “too good to check” box. * I’d appreciate a link to a US news source that verifies it. *Added Monday morning: Sure enough, German government says this didn’t happen. But I still want Joe Pesci for the biopic. I have a pic of Pesci as Gump. How do I upload? Angela Merkel is used to callous bullying by male statesmen .. Famously, Vladimir Putin insisted on bringing his (large and black) dog to meet her when she visited his home. Merkel is afraid of dogs, and (naturally) Putin claims he did not know. 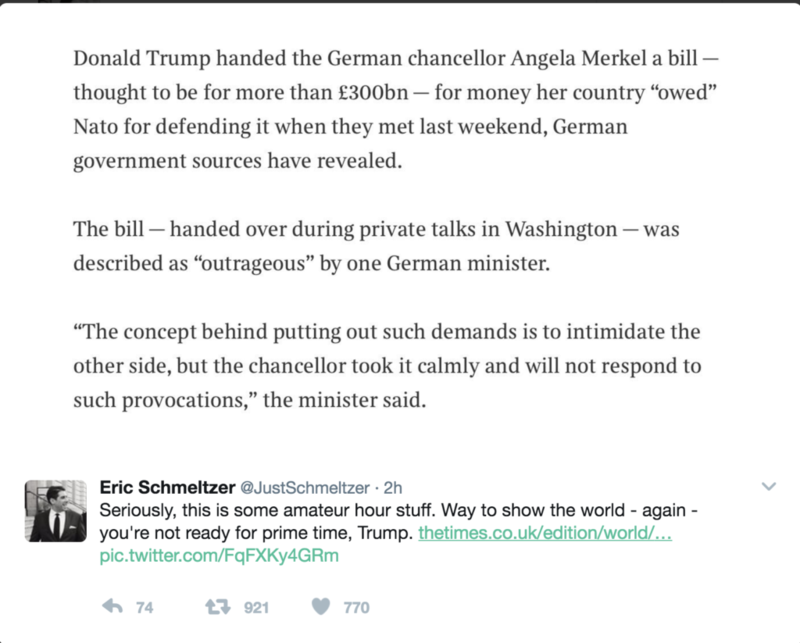 Putin did not intimidate Angela, and I doubt if Trump did either.